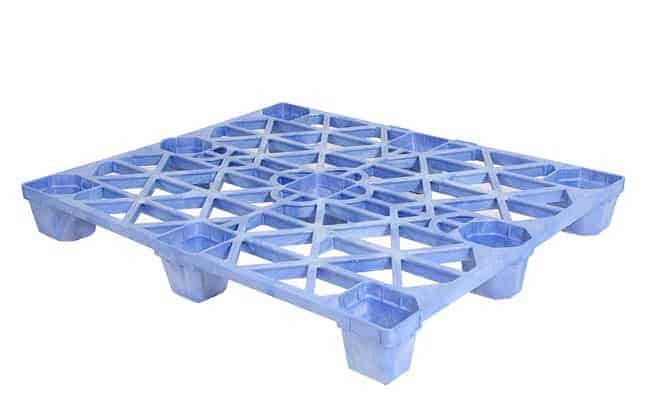 Plastic Pallets come in a variety of shapes and sizes. There are many types of materials and processes that affect the cost, performance, and integrity of a plastic pallet. TranPak carries inexpensive designs made out of recycled materials as well as exceptionally engineered designs made from virgin materials. Whether you are shipping your pallets away (Export and Shipping), or keeping your pallets in house as an investment (Warehouse and Reuse), TranPak provides you with superior products and prices at the best value. Will you be shipping the plastic pallet away without the chance of retrieval, or will you be reusing your plastic pallet multiple times? Ship Away Pallets are an expense and we recommend inexpensive pallets usually made of recycled material. Reusable pallets are assets and we recommend durable pallets usually made from virgin material. How much weight will you place on the pallet in an average situation? 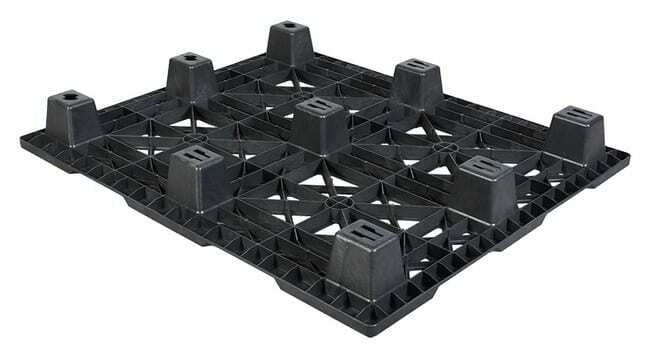 What type of packaging does the plastic pallet interface with? What kind of equipment do you use? Do you have special equipment like palletizers, conveyors, racking, etc.? Are there USDA, FDA, or ISPM15 regulations to which you need to adhere? What Are You Looking for in a Plastic Pallet? Plastic pallets were designed to improve the characteristics of wood pallets. Some are designed to be more durable and clean, and some are designed to be lighter and easier to ship internationally. Usually, these characteristics don’t go hand in hand but they are all available with plastic pallets. The most durable plastic pallets have a life span of over 10 years. They do not easily warp, shrink or splinter, and are usable in all climate conditions. They also have no screws, nails or fasteners, all of which can loosen, protrude or come off, causing stock damage or the risk of injuries. For this reason, the most durable plastic pallets are often the choice for companies shipping fragile products. All plastic pallets are also resistant to chemicals such as acids and alkalis. Their durability makes them re-usable and reliable. This is one reason why many industries that use closed-loop warehousing systems ('closed loop' means pallets are returned to sender after delivery) now prefer plastic pallets. The pharmaceutical, automotive, beverage and dairy industries are all in this category. Another aspect of re-usability is recycling. 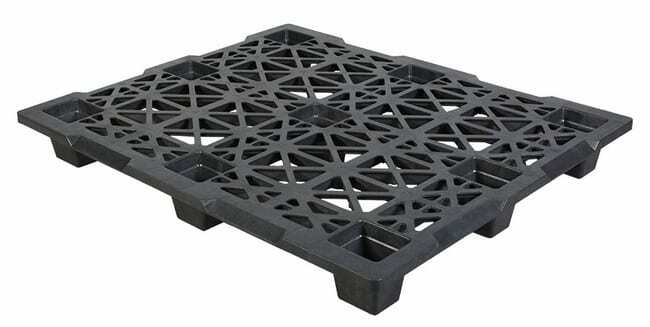 Reusable plastic pallets are 100% recyclable and can be ground up and turned into new pallets, or other products. See our Reusable Plastic Pallets. This is one of the forgotten benefits of plastic pallets. Plastic pallets are free of bugs, bacteria, fungi and other pathogens, all of which can cause quarantine delays, increasing your shipping costs, not to mention the health and safety risks themselves. Many agricultural industries and food producers are now using plastic pallets for this essential reason. Plastic pallets are easily cleaned via hot-wash, steam-cleaning, or chemical sanitization. Another aspect of a pallet's cleanliness is showroom suitability - for example, the electronics industry is now moving to plastic pallets because in many cases the product needs to be displayed on the pallet, so the pallet becomes a display. Plastic pallets are approximately 30% lighter than wooden pallets of the same strength. Think of the savings this makes to transportation and shipping, especially air freight. This saving alone can return your investment; add the pallet's durability, and your savings can be considerable. See our Export & Shipping Pallets. Plastic pallets also stack easily, and are more efficient to move around and store in a warehouse, not just because they are lighter but because they stack together better and use less space than regular wooden pallets. What's more, plastic pallets made from recycled material fill the low-cost end of the market, providing a greater range of product choices.